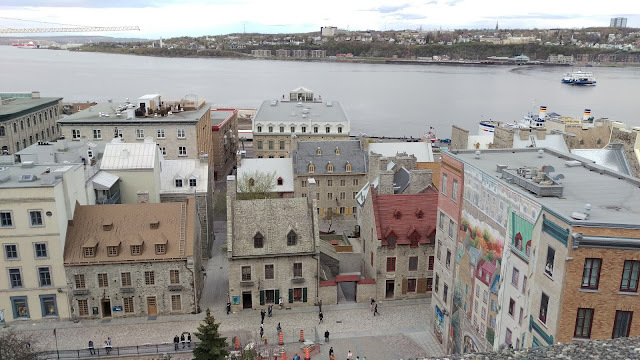 Architecture or built heritage in Old Quebec. Today’s Folklore Photos come from the International Conference on Intangible Cultural Heritage in Quebec City, QC. The conference was held at Laval University and brought together the Folklore Studies Association of Canada, the Canadian Network for Intangible Cultural Heritage, Canadian Society for Traditional Music, the Canada research Chair in Intangible Cultural Heritage, the Institute for Cultural Heritage of Laval University, and the Centre for Culture, Art and Society. On Wednesday evening after a day of completing tape logs and metadata descriptions at the office I flew to Toronto and then on to Quebec City for the conference where a number of folklorists and heritage professionals were meeting and presenting papers on their work. Thursday was focused on Intangible Cultural Heritage (ICH) and there were presenters from across the country and beyond. There was a lot of discussion on UNESCO's 2003 Intangible Cultural Heritage Convention and what has happened in the ten years since the conference was ratified in 2006. Presenters from Belgium, Denmark and Norway described how their countries were working on ICH since ratifying the convention while presenters from Scotland, and Canada discussed their interest in ratifying the convention and moving forward with preserving ICH in their countries. Dale gave a presentation on the work of the Intangible Cultural Heritage Office since 2008 and focused on the Grey Sock project as an example of the work from the Heritage Foundation which celebrates, records, disseminates, and promotes ICH or the living heritage of the province. 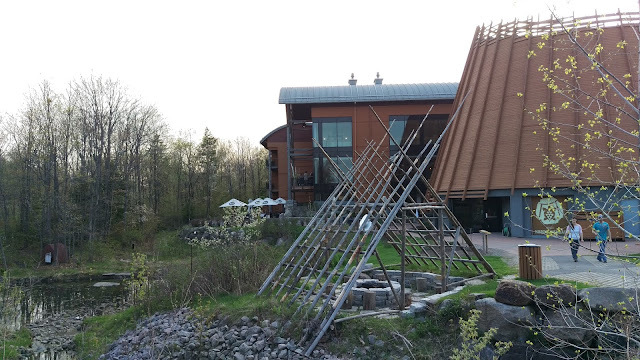 The Huron-Wendat Museum in Wendake, QC. Participants were treated to a tour of the museum and a banquet meal on Friday evening. 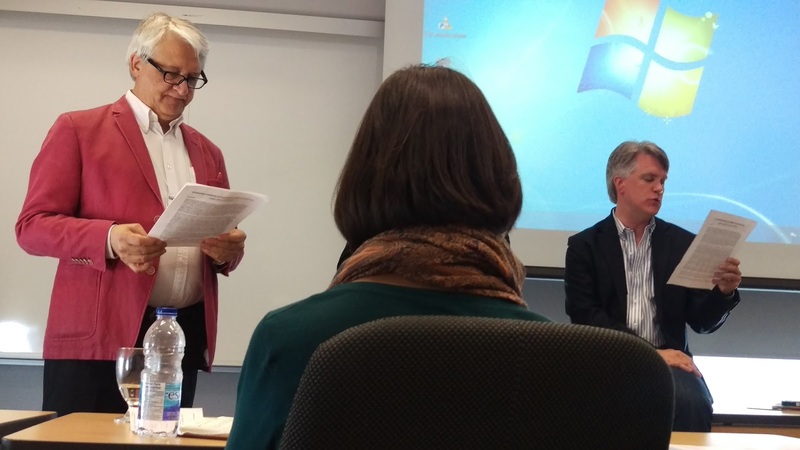 Friday, Saturday, and Sunday there were presentations from folklorists, ethnomusicologists, anthologists, and many other heritage professionals. Some presentations focused on what their institutions were working on while others presented a paper or specific concept or concern in heritage. On Saturday morning I presented a paper I had written on the Mummers Festival. It was called “Shagging with the Tradition: The St. John’s Mummers Festival” and looked at how the Mummers Festival has used Intangible Cultural Heritage to create community and increase tourism. It also traced mummering as a cultural symbol for the province since the 1960s until today. Presenting the paper Shagging with the Tradition: The St John's Mummers Festival. Photo by Ryan Davis. It was a beautiful weekend in Quebec City which finished with a declaration of interest in ICH in Canada and a wish for the country to ratify UNESCO’s convention on Intangible Cultural Heritage in order to preserve and promote the ICH of the country as a whole. Laurier Turgeon and Dale Jarvis reading the declaration on ICH.